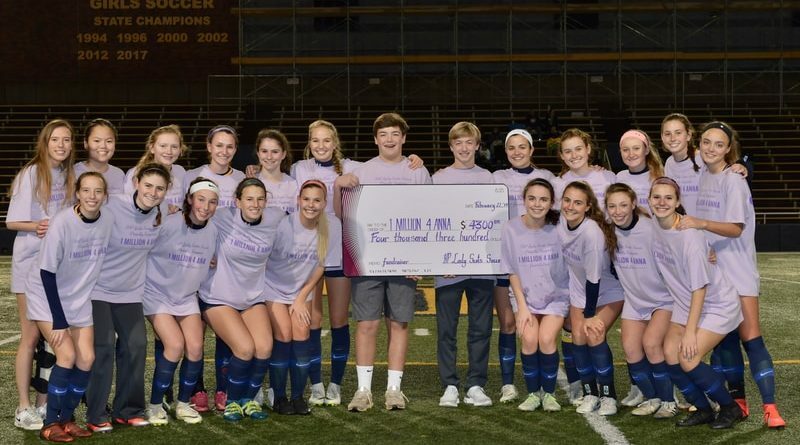 On Feb. 22, after a recent fundraising effort, the Highland Park girls soccer team presented a check for more than $4,300 to the 1 Million for Anna Foundation to aid the fight against Ewing sarcoma. Even by Highland Park’s lofty standards, its offensive outburst on Tuesday was impressive. The Lady Scots scored a season-high 12 goals in a shutout of Conrad at Highlander Stadium, with nine different players finding the back of the net. Presley Echols led the way with another hat trick. The junior has already scored four goals in a game on four separate occasions this year, and is closing in on 100 goals for her career, which would make her the top scorer in program history. 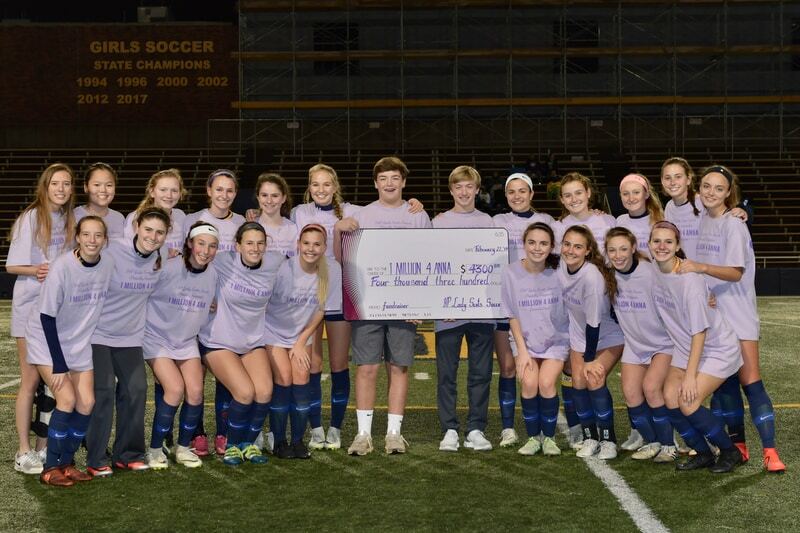 Kendall Williams added two goals for HP, which also got one goal apiece from Megan O’Neal, Racquel Pacewicz, Halley Ray, Ryan Bozman, Kinsley Corn, Kathryn Franks, and Maja Davison. The Lady Scots (14-1-3, 9-0) stretched their winning streak to 11 games overall. They swept the season series against Conrad by a combined margin of 23-1, and have outscored their nine total District 11-5A opponents by a remarkable 71-2. In boys action, HP snapped a six-game winless streak on Tuesday with a 4-0 shutout of Conrad. Jorge Rodriguez tallied two goals for the Scots (5-8-4, 2-4-3), while Jack Hamilton and Ben Hayden also scored. Both HP teams will face Bryan Adams on Friday, with the girls at home and the boys on the road. Then they will play at opposite sites on March 5 against Carrollton Creekview.